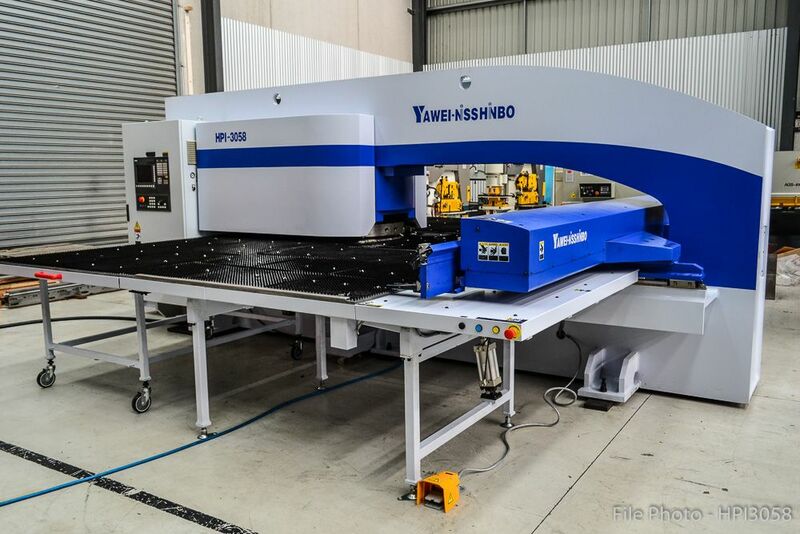 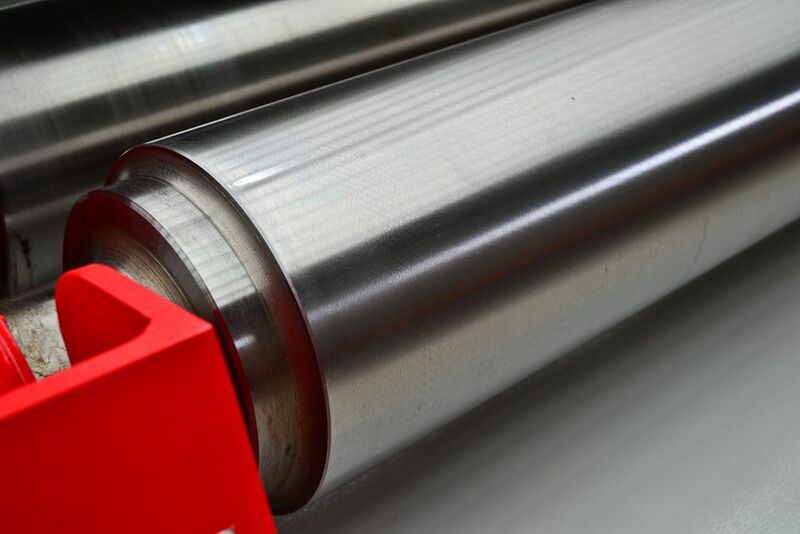 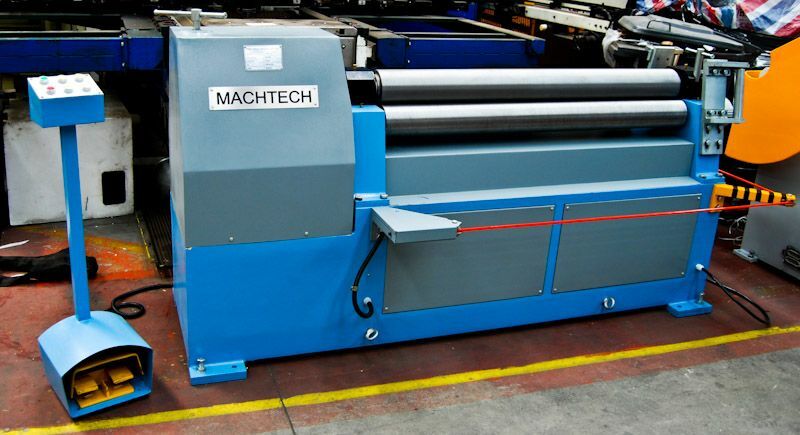 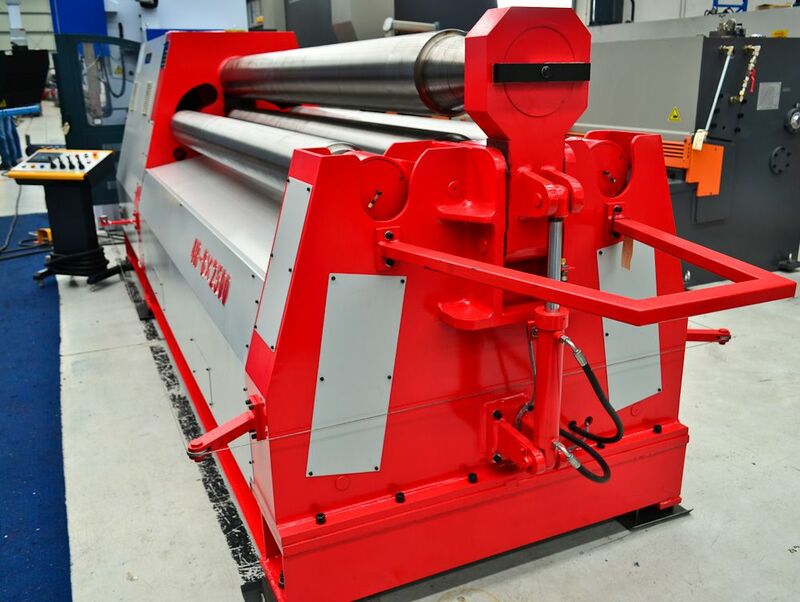 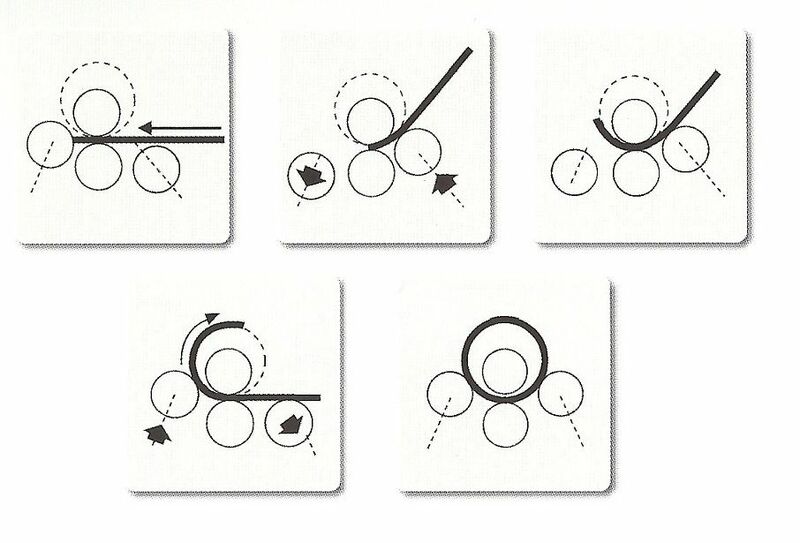 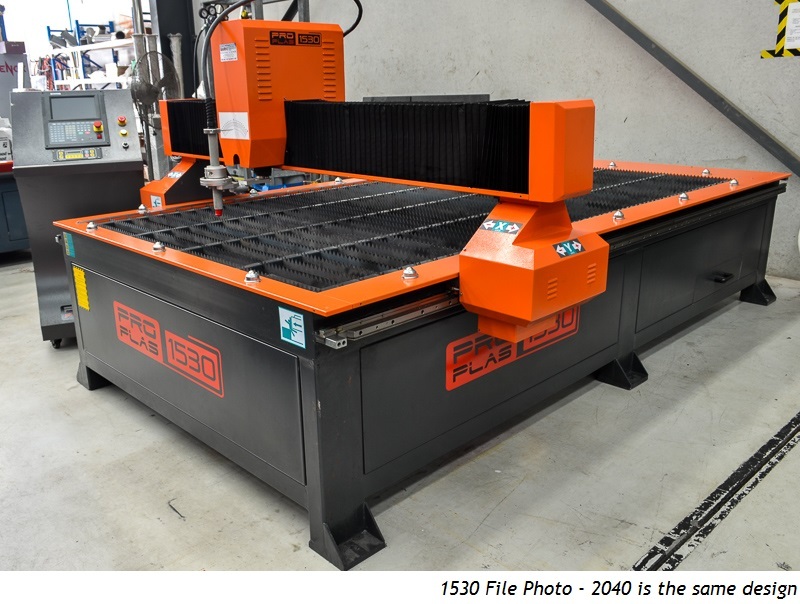 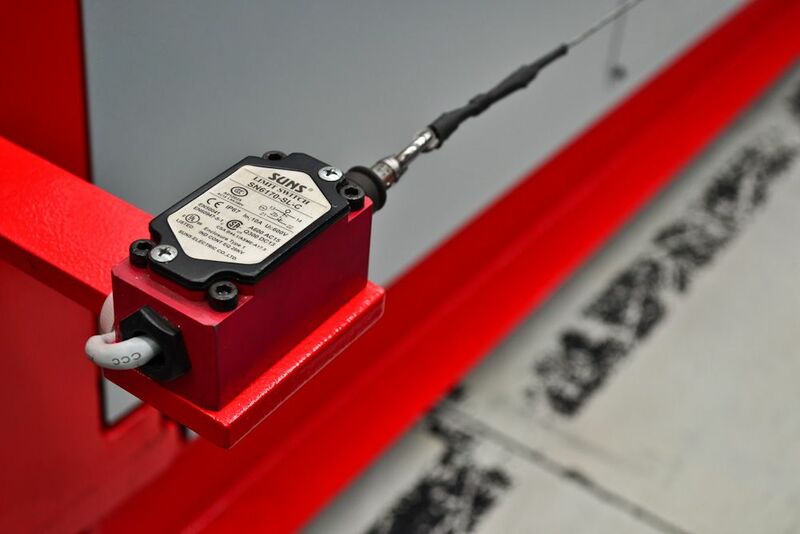 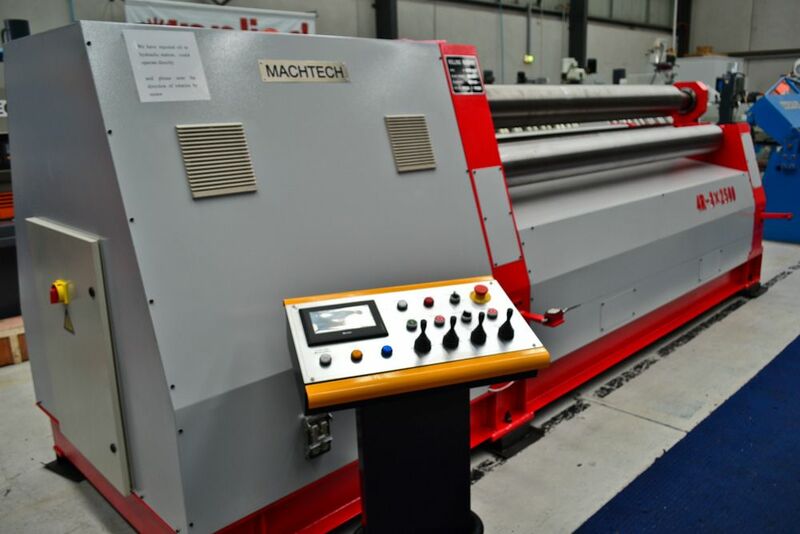 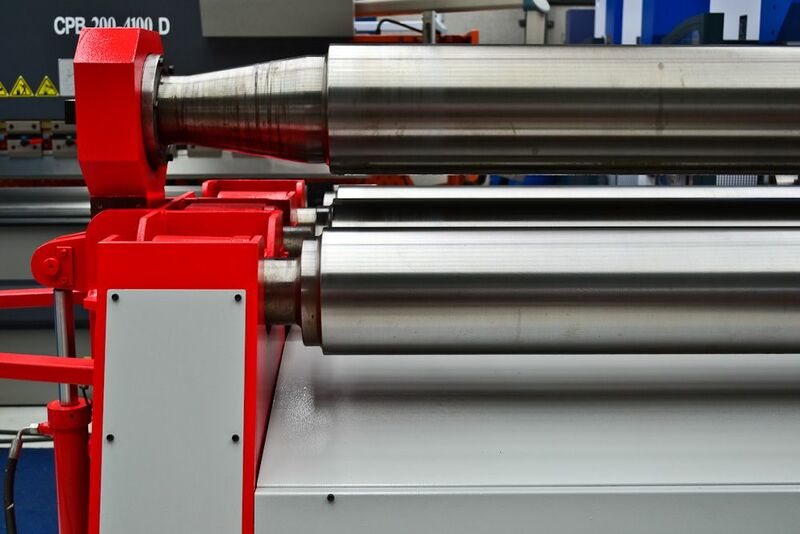 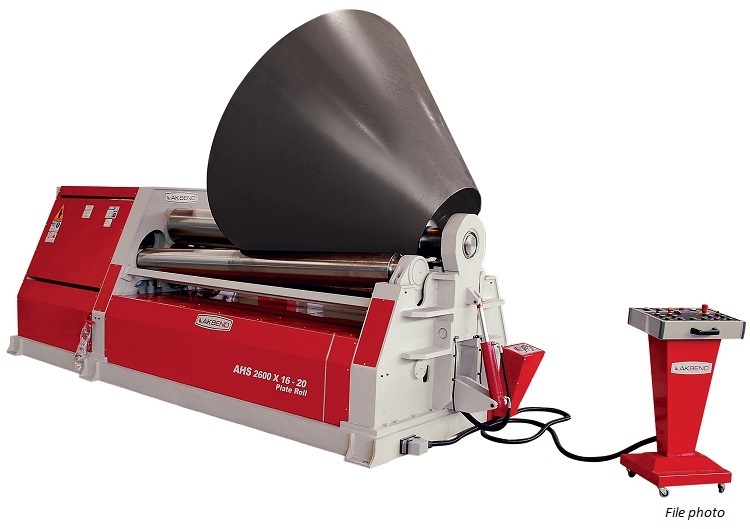 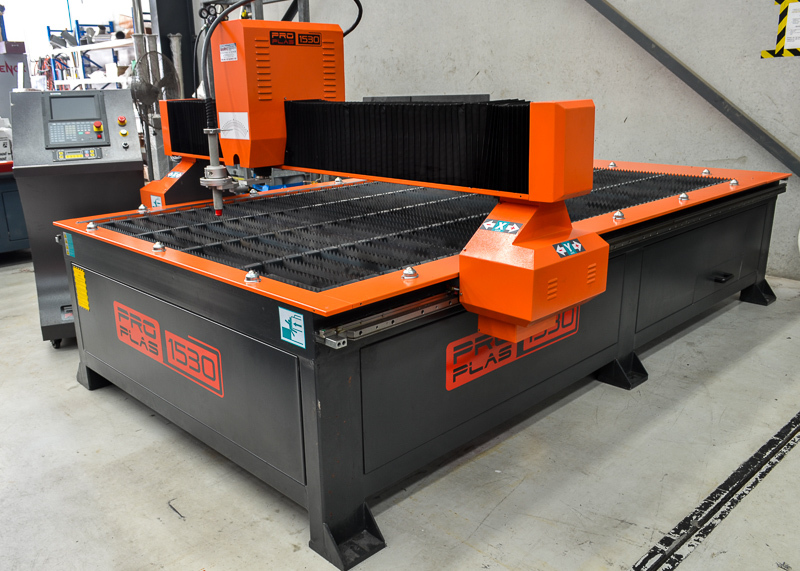 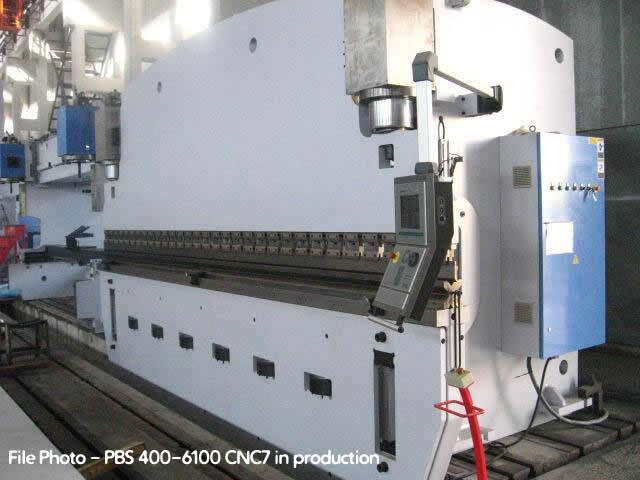 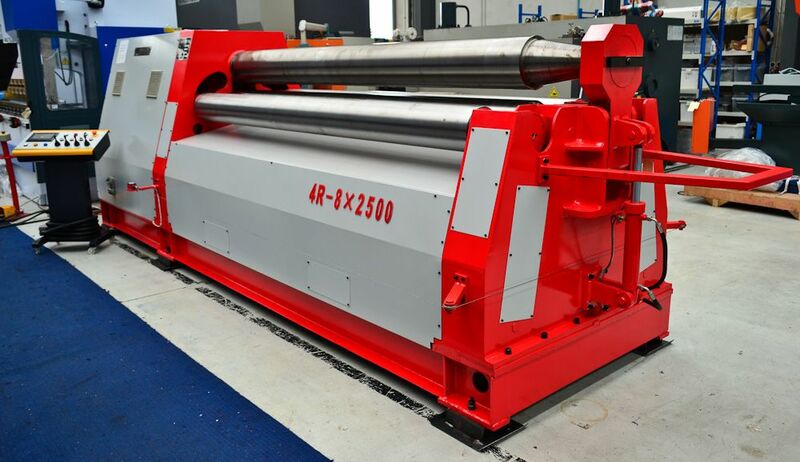 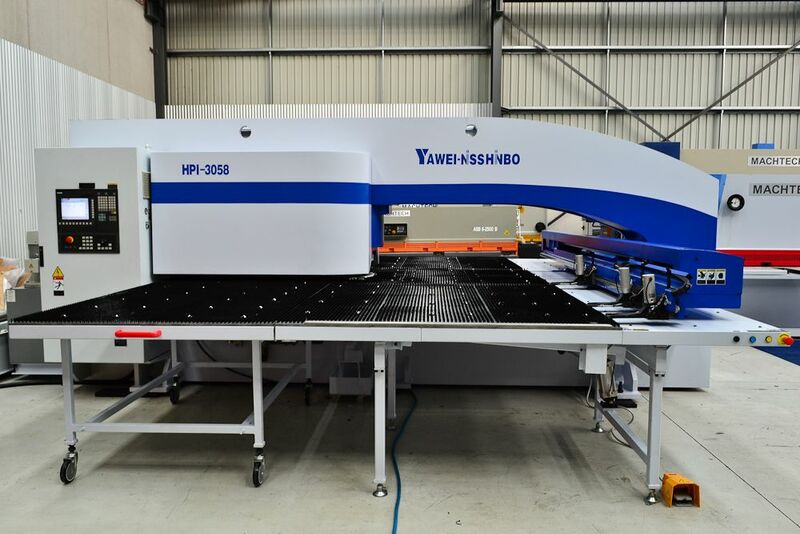 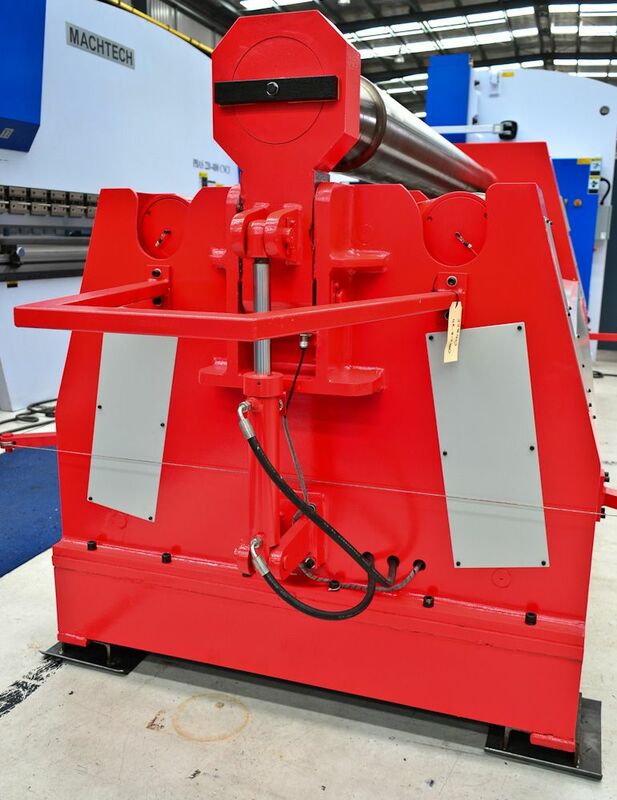 NEW Machtech 4R 8-2500 Prebend Type Plate Rolls. 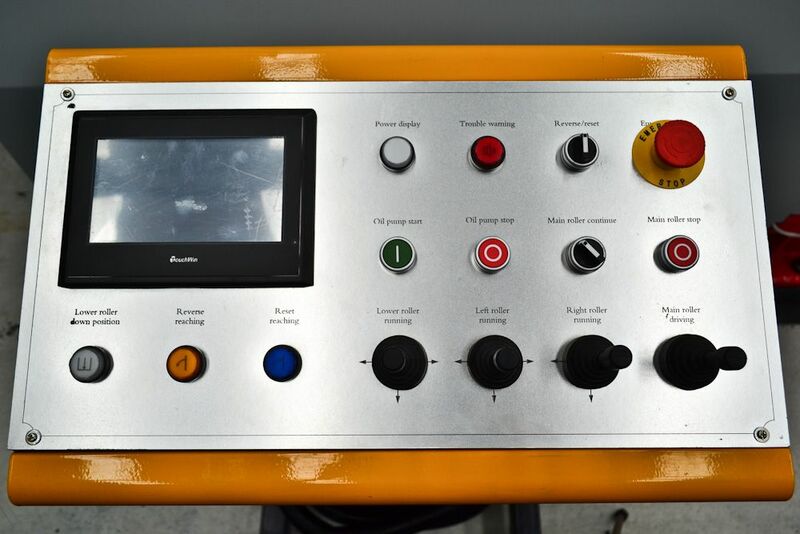 - conventional control console with Omrom digital readouts for all functions and joystick controls. 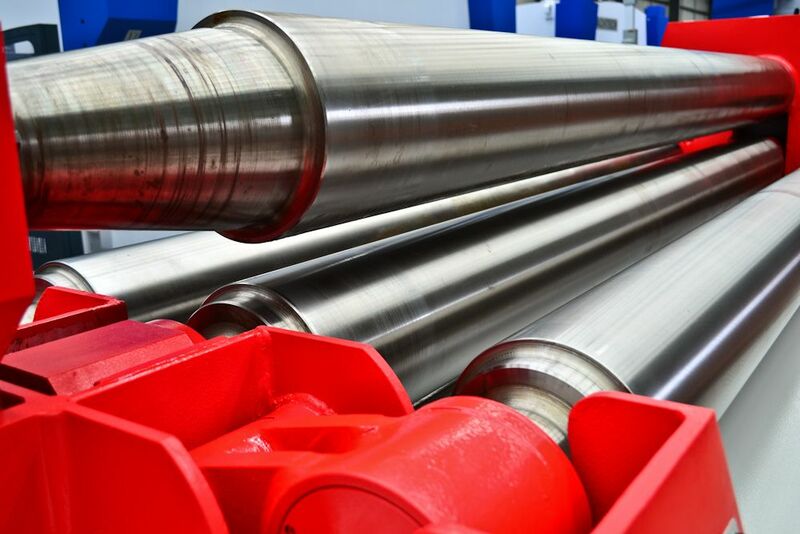 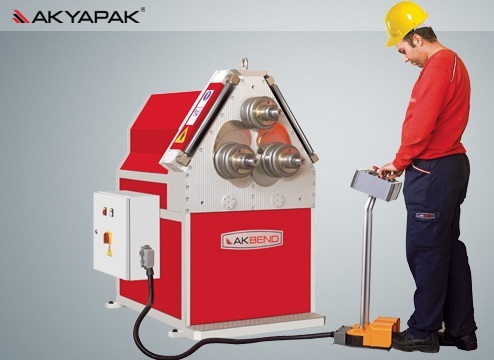 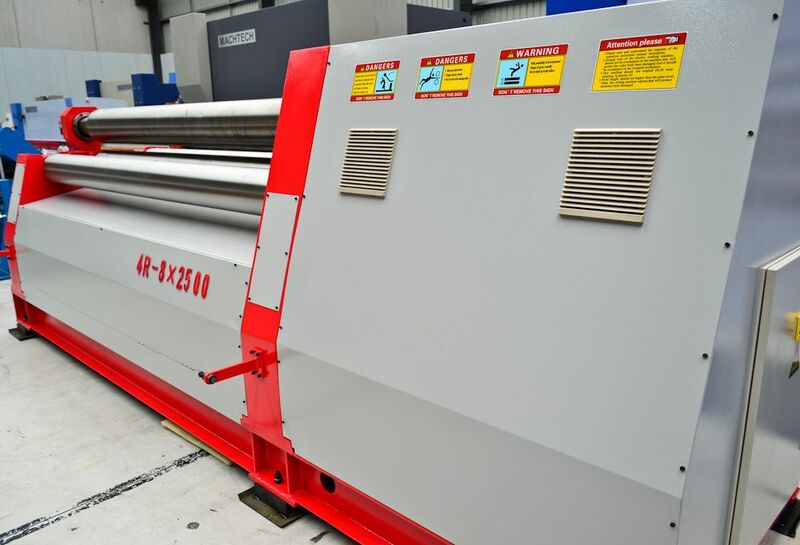 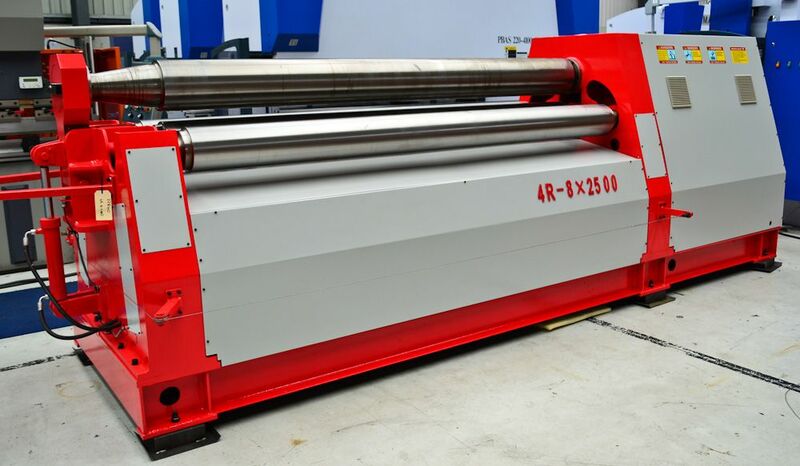 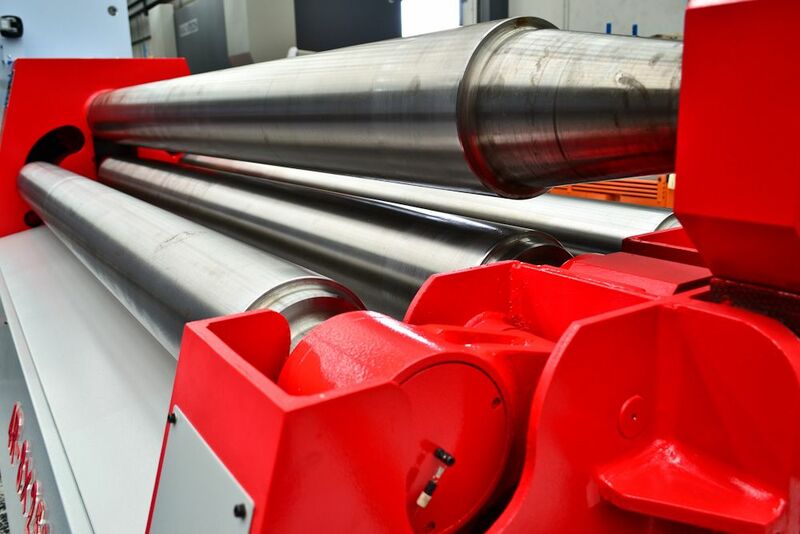 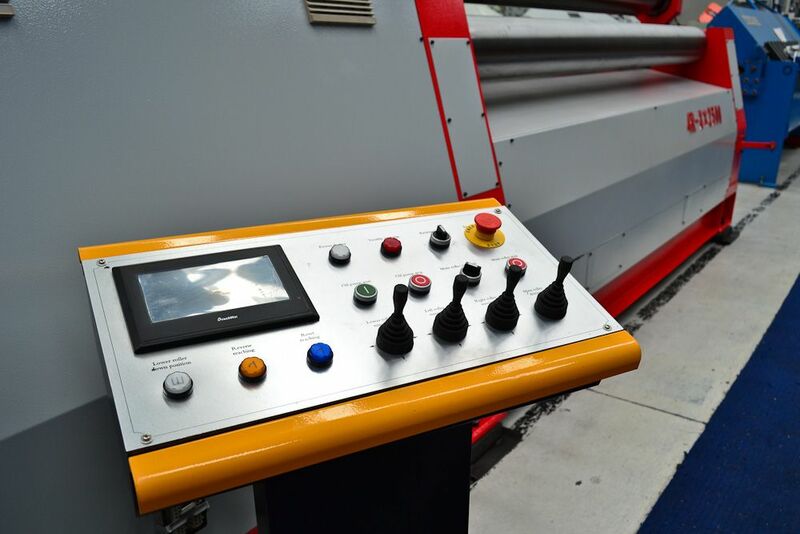 Induction hardened, bearing mounted rolls, 3100mm working length, 8mm maximum plate thickness, 6mm maximum prebend thickness, 4 rolls double initial pinch action, mobile control panel on wheels.